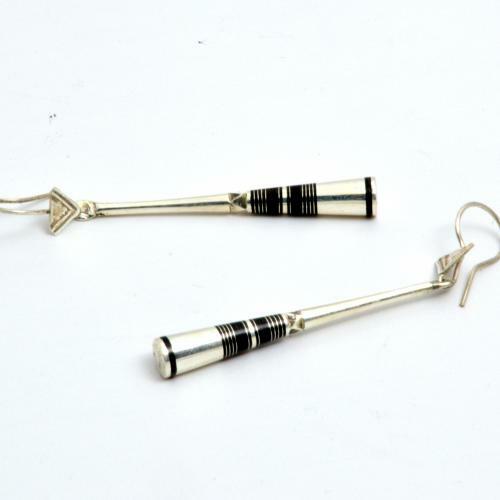 The shape of the earrings is based on the tamper of the Tuareg for millet. Sand dunes are shown at the top of the trailer. The black part is made of recycled ebony. The silver stripes in the wood are the same decoration that can be found on the large rammers. The lines symbolize the routes of the caravans. The engraving in silver over the ebony is called azmam, the shape of a pearl of a Tuareg necklace.